There was a neighborhood yard sale in the historical district of Opelika, Alabama this weekend. It was a treasure chest of Saturday morning goodness. 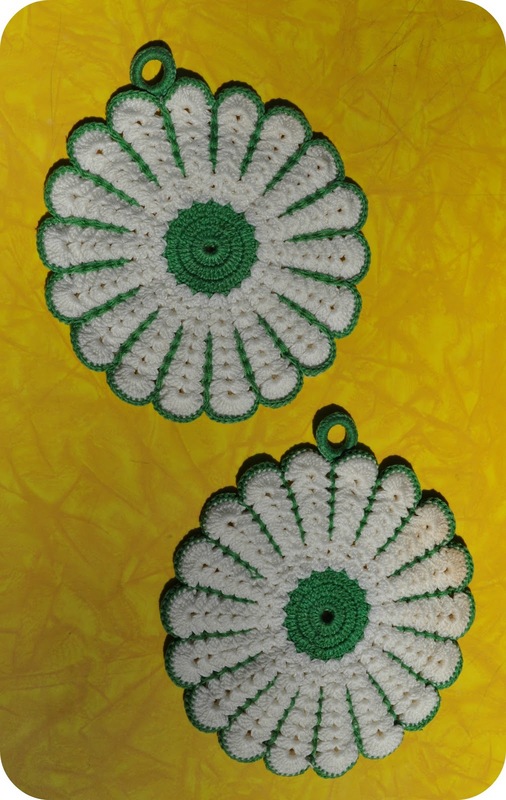 I am in love with these crocheted pot holders. This sweet little brown bear honeypot is already listed in the shop. 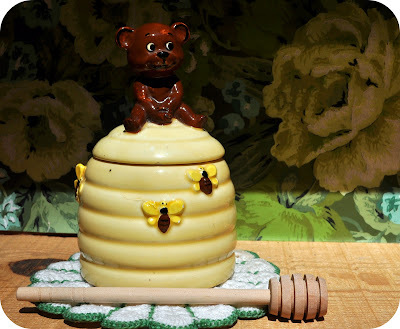 You see, I have an embarrassing confession, I recently unpacked nearly 100 items that need to be listed in the shop. I am determined to have them listed before Baby Coco arrives. Point is, I am trying to list things right after I find them. 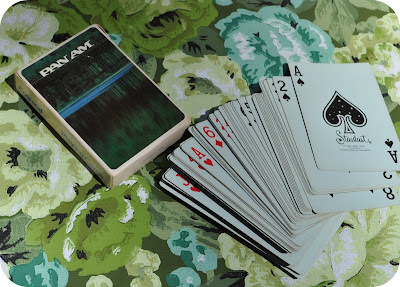 This deck of Pan Am England cards made my heart happy because I am now hooked on the show Pan Am. Did you see the first episode last week? 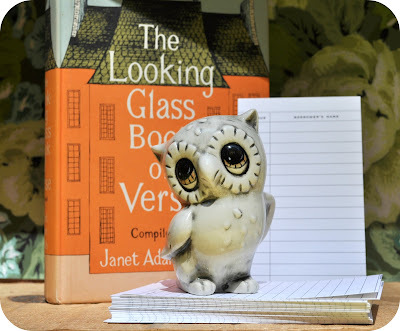 I also found this adorable little owl (available here) and this book of poetry (the cover reminded me of the home on The Royal Tenenbaums) and a fresh stack of library cards for projects. 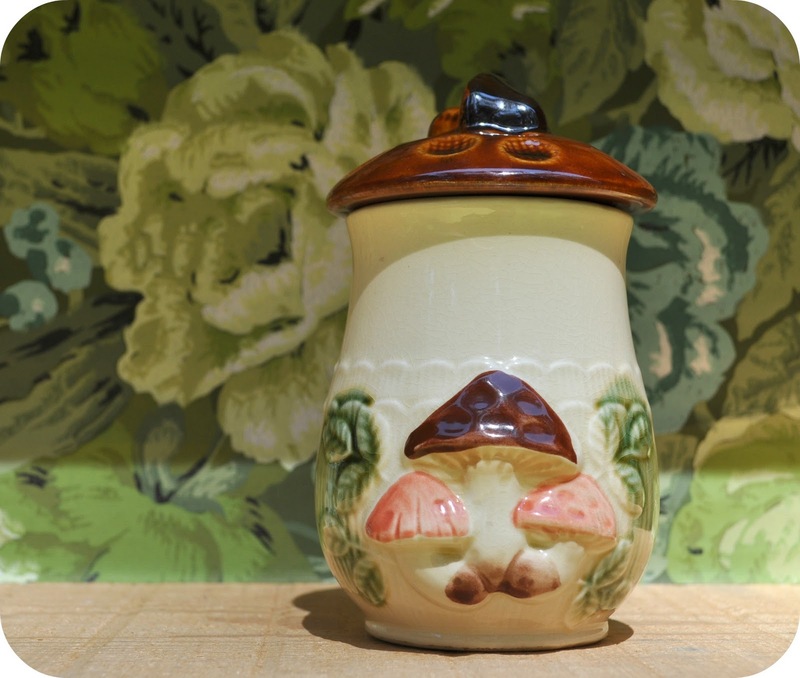 This mushroom canister is available as well. 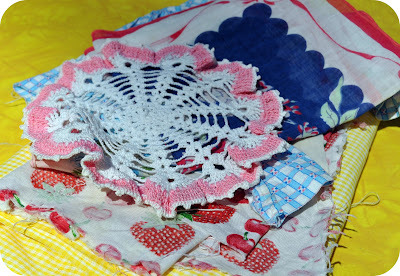 I found many little items like doilies, hankies, scraps of fabric and vintage doll dresses for upcoming projects. 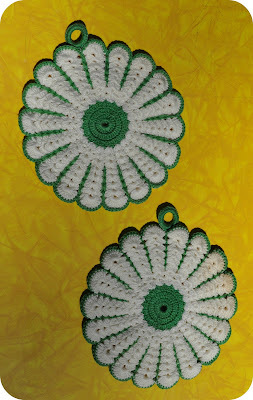 Speaking of projects, I found a few more items that are already mid-project. I hope you found some goodies this weekend too. It is the perfect time of year to treasure hunt. p.s. Check out the fabulous treasure on Her Library Adventures and Apron Thrift Girl. i really love those pot holders! so pretty. The owl is very cute! Unfortunately I watched Pan Am this week & was expecting something great & was hoping for a new show that I could adore & swoon over, but I was bored as hell. Very disappointed. Cutest owl ever! I'm a mushroom lover and the canister is gorgeous! 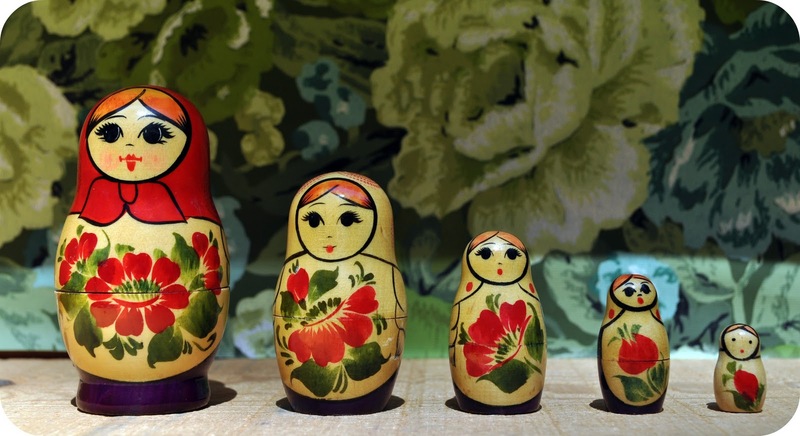 Oooh--I love those matryoshka dolls and the doilies and hankies. You did find some lovely treausures! How fun! that little owl is sooo cute!